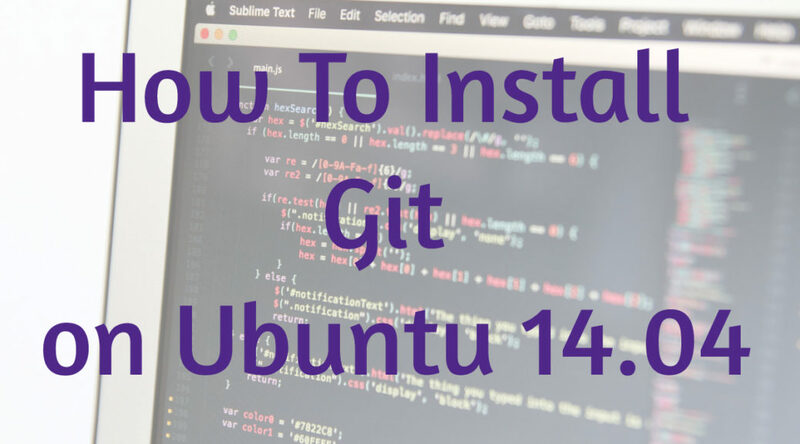 In this tutorial we’ll learn how to install git on Ubuntu 14.04 (Trusty Tahr). Git is a free and open source distributed version control system (VCS) designed to handle all project from small to large with speed and efficiency. Originally created by Linus Torvalds in 2005 and maintained by Junio Hamano since July 2005. You can visit git website to learn more about git usage. Ubuntu 14.04 already shipped with git version 1.9.1. Let’s install git from repository. If we check on git website, at the time of this writing the latest stable version of git is 2.13.3. We can install the latest stable git from git core PPA repository. The most current stable version of Git for Ubuntu. For release candidates, go to https://launchpad.net/~git-core/+archive/candidate . We already use the latest version of git installed (minus the .3 patch). In this tutorial we learned how to install git from Ubuntu repository and also latest version of git from git-core PPA repository.